NEW Beginners cross body style salsa classes- Starting Sept 19th in MONO, downstairs in Dundee University union building. 6-7pm, 10 week block – £30 ( stu), £35 non students. 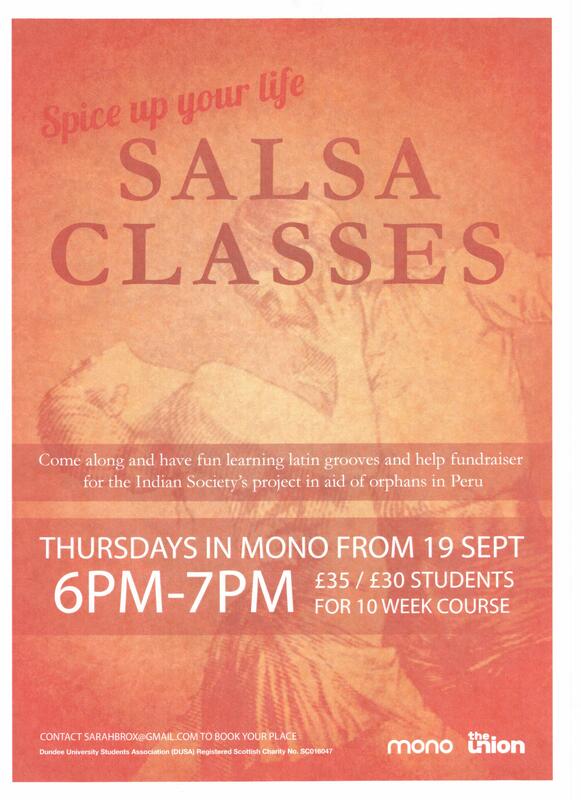 Come along and learn salsa and spice up your life, no partner necessary. Can join first 2 weeks only, come 10 mins early for first class to register. Money raised for small project in Peru for former street children. Email sarahbrox@gmail.com for more info & to reserve spaces.